A couple of weeks ago we brought you the first of our 3BM Gift Guides with our top ten gifts for Peter Pan Fashionistas. Next up, what to buy the travel bug bitten. 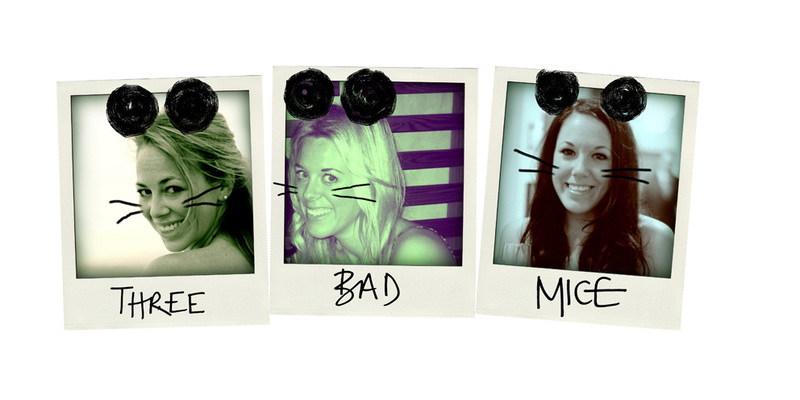 The Mice love holidays more than almost anything else and these top gift tips feature on all of our wish lists. So whether you have a Ella Explorer or an Arthur Adventurer to buy for, here's our round-up of the gifts that are sure to draw grateful gasps and hopefully inspire trips to far flung corners of the globe.... Who are we kidding? This is really just our travel wish list. Hint hint. Why is refolding a map trickier than doing a cryptic crossword? 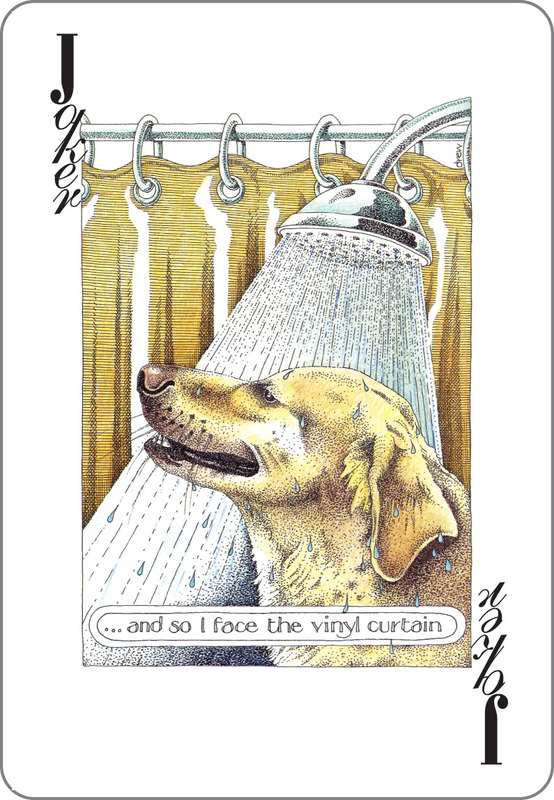 And how many times have you ventured out in a new city clutching one of those glossy tourist maps only to get caught in the rain and left lost with a handful of unreadable pulp? Crumpled City Maps to the rescue. These lightweight, waterproof maps are designed to be scrunched and shoved in a pocket - no hassle, no fuss, no getting lost. 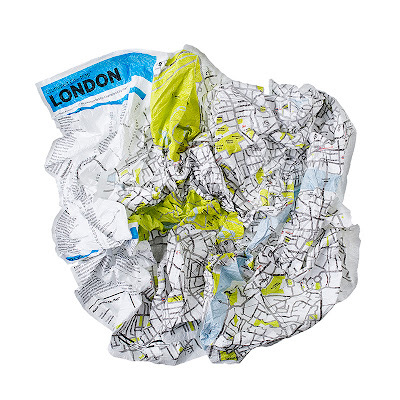 Each map features a sightseeing index and the company have even launched a set of Crumpled City Junior maps designed for families and all budding Dora Explorers. 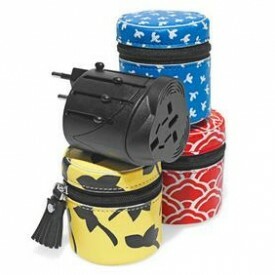 Functional and gorgeous, these DVF Travel Adapters are perfect for the fashionista living out of a suitcase. 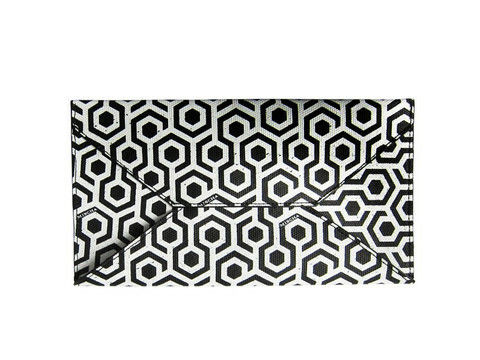 Ensuring that you can use your hairdryer and charge your iPad anywhere in the world, this travel essential comes beautifully adorned in a signature DVF print case. Fit everything you need for navigating a new city in style into your pocket or teeny, tiny clutch bag. Luxe Guides are travel best buds for anyone who likes the finer things in life yet likes to travel light or wants to avoid looking like a super tourist lugging a huge guidebook around. 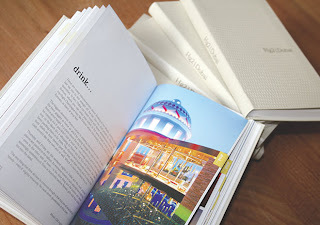 These small concertinas of durable, glossy cardboard contain all the eating, sleeping, drinking, shopping and partying recommendations you'll need for an uber-glamourous stay in cities all around the world. From Beijing to Bangkok and Sri Lanka to Seminyak, I've never been let down by Luxe and have been guided to some real hidden gems that I'd never have found without Luxe's expertise. Born to fly First but currently only in possession of an economy sized salary? 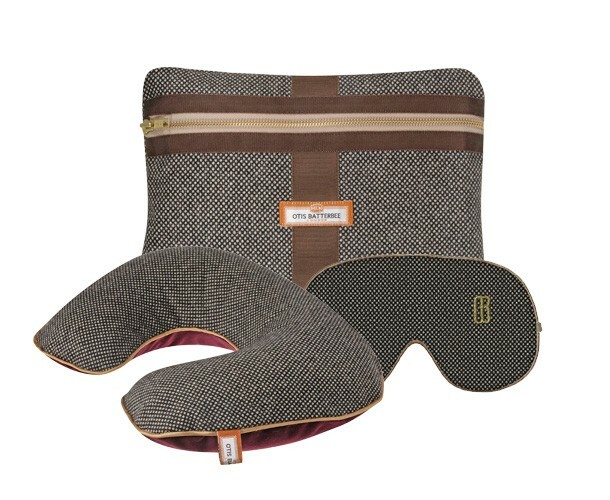 These gorgeous travel sets help make even the most budget of flights into a luxurious experience. For the boys there's the Otis Baterbee Travel Gift Set complete with lavender filled, monogrammed eyemask and inflatable travel pillow all packed in a dapper zip-up pouch. For the traveller who's all about seeking out where the locals eat, shop and most importantly play Hg2 are your go to guides. The Hedonist's Guide To series are written only by people who have lived in the cities that they cover. Each guide includes snappy, pithy reviews of all the insider picks to ensure that you enjoy the best that each city has to offer. Want to know where to party with the fashion crowd on a Monday night in Beijing? Hg2 has the answer. Heading to Miami but want to avoid the glossy hotel bar frequenting, Russo Baltique downing crowd? Hg2 gives you a grimier, grittier Miami suggestion. These guides are guaranteed to show you a good time. Cramming your DVF kaftans, Melissa Odabash bikinis and Louboutin espadrilles into a battered old Delsey just isn't right, they deserve to travel in just as much style as you do. 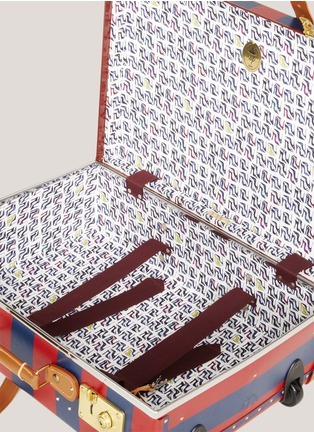 Haven't inherited a set of Louis V monogrammed trunks from your granny? Time to invest in heirloom luggage to pass onto your own grandchildren one day, a set of Globetrotter luggage. Established in 1897, Globetrotter cases have made trusty travel companions to the elite for the last 115 years. From Edmund Hilary's 1953 ascent to the first base camp of Everest to the Queen's 1947 honeymoon, Globetrotters have been on some pretty auspicious trips (if Globetrotters could talk...). And now there's even more reason to invest in a slice of handcrafted quality with some amazing limited edition Globetrotter collaborations. 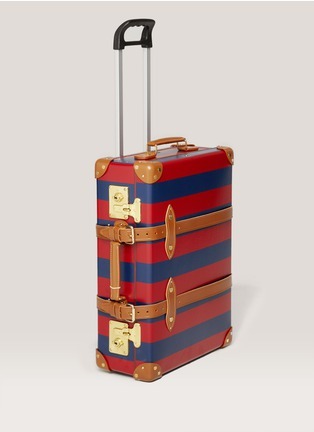 First up, the Manolo Blahnik Globetrotter Luggage. Exclusively available from Lane Crawford, the range includes a vanity case, a trolley case, a classic suitcase and a canvas tote. Designed by shoe God, Manolo Blahnik himself, the luggage has a red and blue striped body and is lined with Liberty shoe print fabric. You're guaranteed to be able to spot your fab luggage on the carousel. 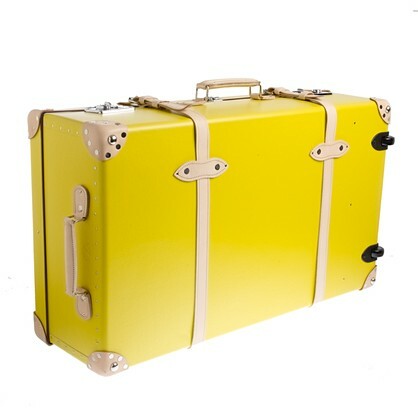 Alternatively, tune into the current catwalk obsession with yellow and bag one of the J Crew Centenary Sour Lemon Globetrotter Cases (Jason Wu eat your heart out). Guaranteed to keep you feeling fresh and zingy even after a longhaul flight. For girls who lose their keys on a daily basis and can't be trusted with their own passports, a travel wallet is the path to gaining a little order and organisation. 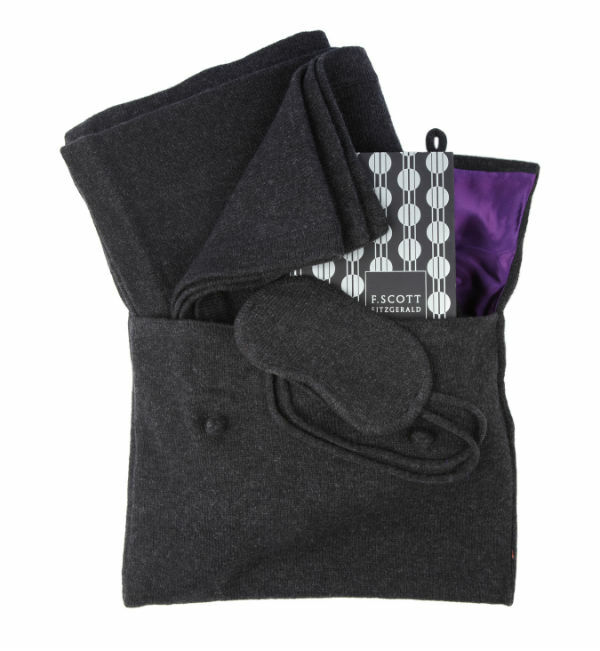 Keep all your tickets, visas, passports and essential travel documents in one safe, handy pouch. And once you reach your destination transfer all the important bits of paper to the hotel safe and use your travel wallet as a clutch. 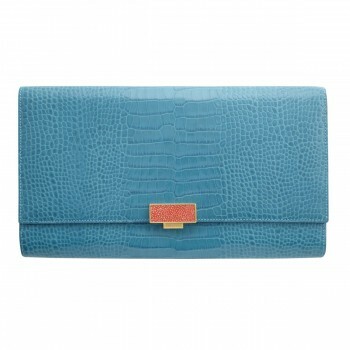 Multi-tasking, organised and chic, you can't ask more than that. 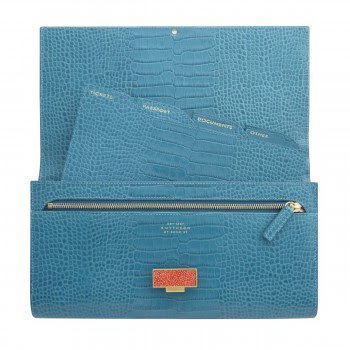 We love this beautiful Mischa Travel Wallet. Made from light, weather-proof coated canvas and featuring a gorgeous monochrome Japanese print this wallet will look right at home in Tokyo's most stylish bars having looked after your travel essentials on the way there. 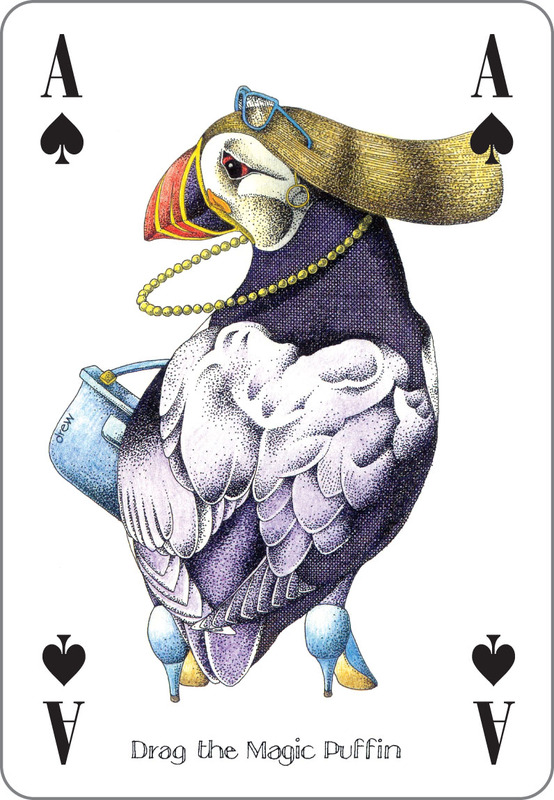 Last but not least, a suitcase essential, a pack of playing cards. Delayed for six hours in the world's most boring airport? Fancy a bit of light entertainment to accompany your G&Ts at sunset? Want to make friends with some non-English speaking locals? Cards are the answer everytime. 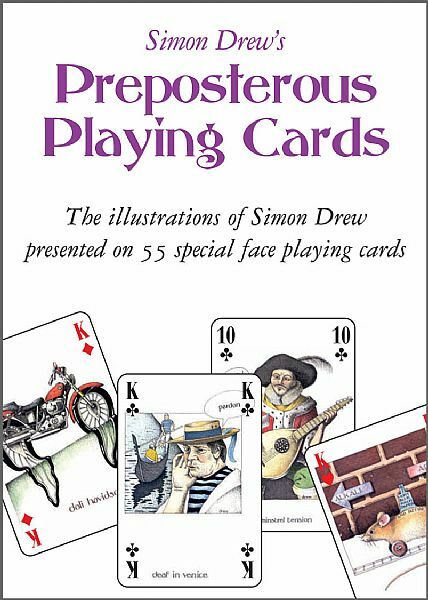 But these Simon Drew Preposterous Playing Cards aren't your average playing cards. Each is beautifully illustrated with a quirky pun often making concentrating on the game in hand less than easy.